Keep your favorite hunting partner hidden and protected from the harshest conditions. The new Flight Series Dog Blind from Tanglefree is built with a corrosion resistant aluminum frame and 600D Polyester Optifade material, it is sure to handle anything Mother Nature can dish out. Keep your favorite hunting partner hidden and protected from the harshest conditions. 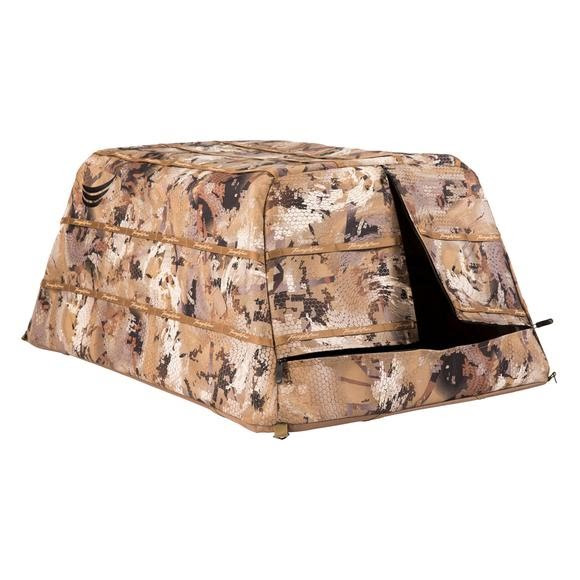 The new Flight Series Dog Blind from Tanglefree is built with a corrosion resistant aluminum frame and 600D Polyester Optifade material, it is sure to handle anything Mother Nature can dish out. With a double entry door, extra stubble straps for adaptability and a low profile, your companion will be ready to work all day.